"Eating strawberries each day keeps the doctor away." 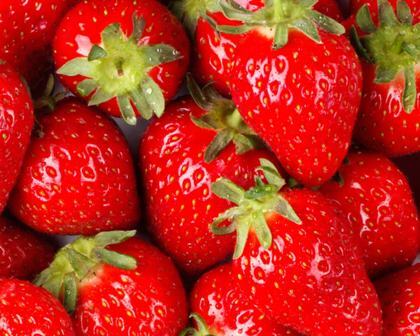 Strawberries are actually being called "the next super food" for diabetics. In a study run by the Salk Institute diabetic complications were reduced significantly by eating 37 strawberries a day. These strawberries were found to reduce the sugar coating of nerves, blood vessels and other cells in the body, a mechanism that is thought to cause many of the complications in diabetes. Although the test was run in diabetic mice, it leads to a promising treatment for diabetes. In fact, fruits and vegetables continue to present as a valuable option for diabetes and many other chronic diseases of the body. In our practice, this will be another alternative treatment to reduce complications of diabetes, with the recommendation being fresh strawberries as much as possible to ensure full benefits of the substances in strawberries (including fisetin, the most likely substance in strawberries giving the benefit). Will a synthetic fisetin or supplement with fisetin provide the same benefits? That is yet to be determined, but for now, I recommend fresh strawberries as they are available to improve your health.